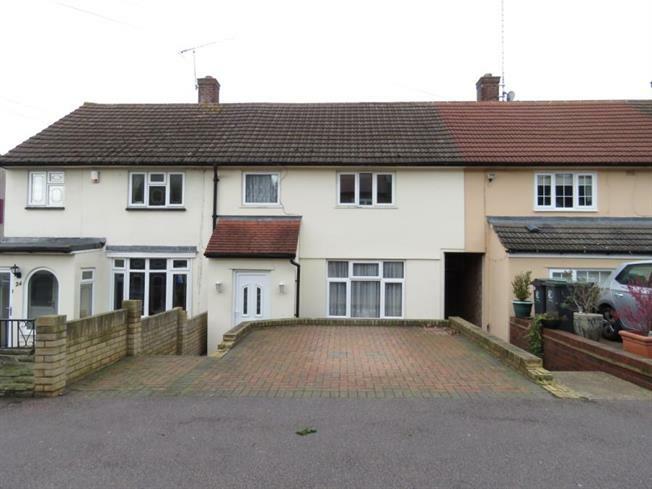 3 Bedroom Terraced House For Sale in Loughton for Offers in excess of £400,000. We are delighted to offer this 3 bedroom mid-terrace property. To the ground floor there is a large through lounge which leads into an extended kitchen/diner. To the first floor there are three bedrooms, two of which are double and a family bathroom. The garden is laid to lawn and of a reasonable size. to the front of the property there is off-street parking for two cars. This is priced to sell, so to avoid disappointment, call the office to view.